Our 'Sunflowers' Design is hand-illustrated, using watercolours to create a richer and more interesting final artwork. Perfect for the summer season. 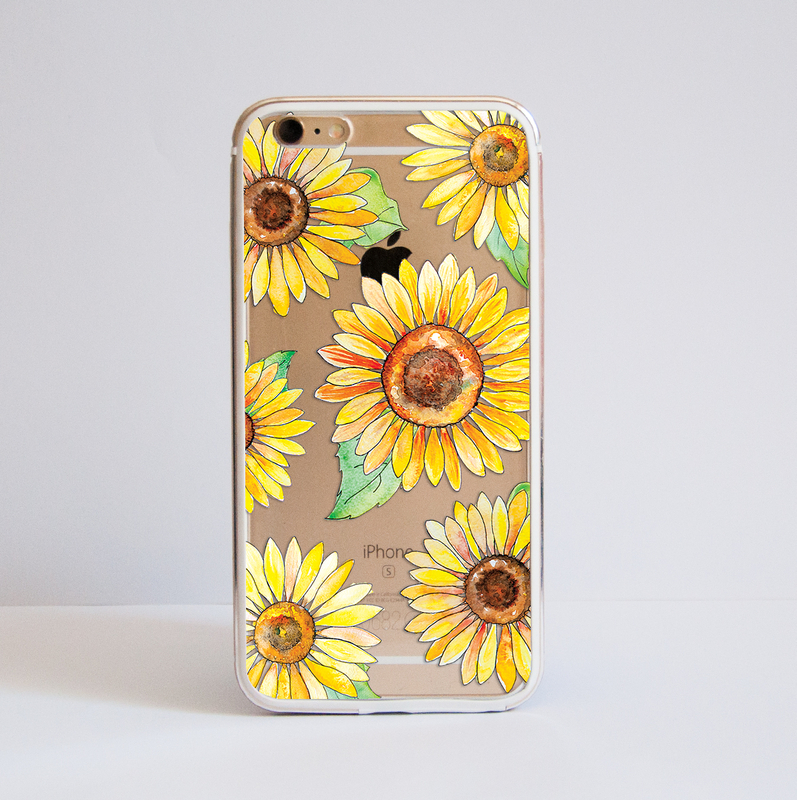 Our transparent Sunflowers phone case design would be a great choice to make your phone a bit more personal. Each coffee cup is hand-drawn using water-colours to create a nice colour blending.